Excellent adaptogen herb that can help relieve the stress of modern living. Often referred to as holy basil, Tulsi is a potent herb that has been used in India for thousands of years to treat colds, coughs, and flu. 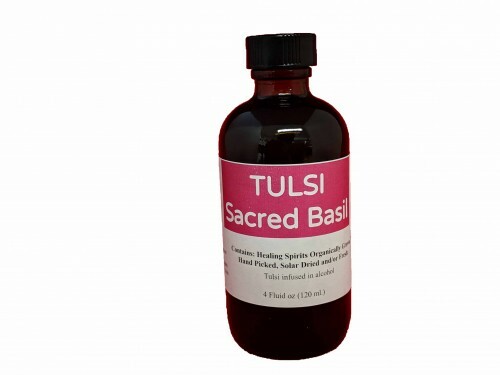 According to Ayurveda, tulsi promotes purity and lightness in the body, cleansing the respiratory tract of toxins and relieving digestive gas and bloating. Tulsi leaves offer a rich source of essential oil, containing eugenol, nerol, camphor, and a variety of terpenes and flavonoids. The oil is a strong antiseptic against many kinds of disease-causing organisms, including bacteria, fungi, and parasites.